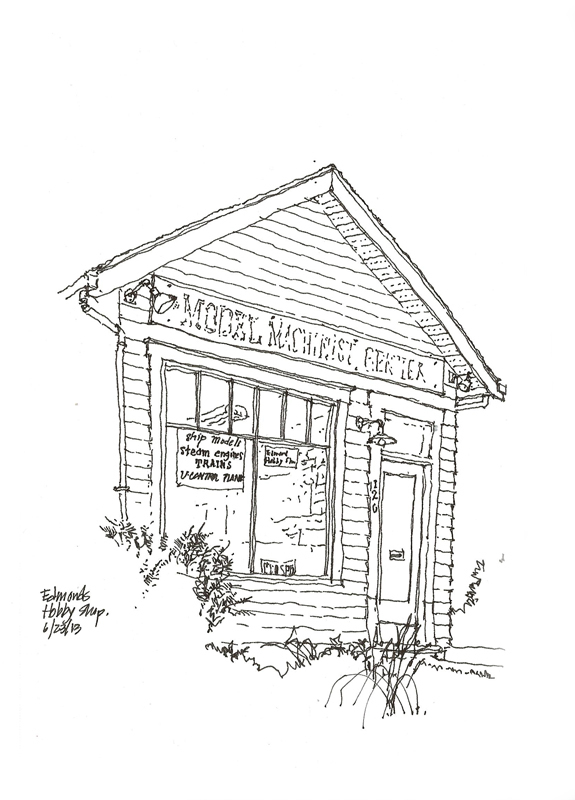 Seeing and drawing this humble hobby shop in Edmonds reminded me of how much I loved building models of all kinds—planes, trains, ships, and for a very brief time, even classical guitars. As you can see in this photo, I still have a few around. Despite the allure of digital models and fabrication techniques, we can still learn a lot by working with real materials with one’s own hands, feeling attributes such as weight, texture, and grain. Unlike digital models, real materials tell us if we try to make them do things that they are not capable of. And in assembling physical models, we learn that sequence is crucial to success. 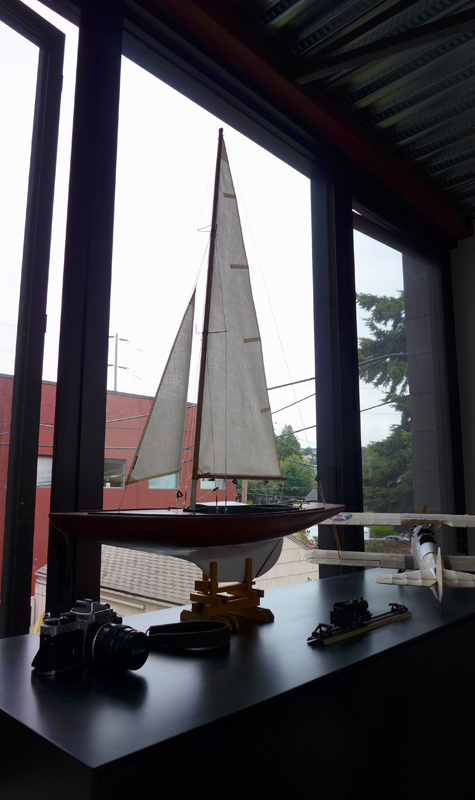 We can turn a physical model over, not in our heads as we sometimes do with drawings or on the computer monitor as we do with digital models, but in real space and in real time. One can examine materials and joinery closely one moment, and then look at the whole from a more objective distance the next. I still have a few model kits, just in case I ever find myself with some free time and nothing better to do. This entry was posted in Design, Drawing, Media, Technology by FC_admin. Bookmark the permalink.